On Tuesday, Gov. Ron DeSantis named of Major General James Eifert as the next adjutant general of Florida, replacing current Adjutant General Michael Calhoun. General Eifert received his commission from the United States Air Force Academy in June 1982. Following undergraduate pilot training, he flew operational fighter tours in the F-4 and F-15 before joining the Hawaii Air National Guard in 1991. After graduating from the prestigious United States Air Force Fighter Weapons School in December 1992, General Eifert led the first-ever Air National Guard F-15 combat mission policing the Northern Iraq no-fly zone during Operation Provide Comfort. In 1995 he joined the 125th Fighter Wing as the first F-15 Chief, Weapons and Tactics. As the Operations Officer, General Eifert executed the Wing’s inaugural F-15 deployment to a combat zone during Operation Northern Watch in 1998 followed by the first Air Expeditionary Force rainbow deployment during Operation Southern Watch in 2000. As Wing Commander, 125th Fighter Wing, he guided the 1,100 member organization during the continuing Operation Noble Eagle and Overseas Contingency Operations missions while simultaneously serving as the Air Dominance Weapons Systems Council Chairman working F-15/F-22 issues and concerns nationwide. General Eifert served as the National Strategic Planning System Force Structure Committee Chairman responsible for advising the Deputy Director of the Air National Guard on roles and missions. He also routinely performed Deputy Combined Force Air Component Commander duty for the Commander Continental North American Aerospace Defense Command Region overseeing the conduct of full spectrum air and space operations over the continental U.S., Puerto Rico, and the Virgin Islands. 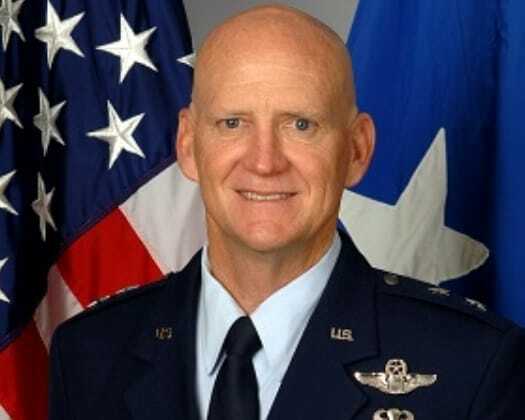 Prior to his current assignment, General Eifert was the Assistant Adjutant General – Air and Commander, Florida Air National Guard.